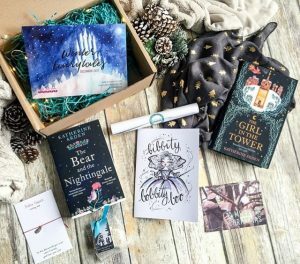 Now that our first boxes of 2018 are officially out in the post and we are excitedly watching our social media accounts like hawks for people’s unboxing photos, we thought that we would post about the beautiful items we included in our December Winter Fairytales box. We think that there is nothing more Christmassy than a book that is both wintery and magical, so we were thrilled to have the chance to include these two amazing books. Seriously guys, the world building in our December reads is just so rich and full of folklore and ancient magic and the writing is beautiful! As soon as we read The Bear in the Nightingale and its sequel The Girl in the Tower, we were already full of ideas for the perfect items to include in our box! We had the chance to work with some brilliant designers, illustrators and… marshmallow makers last month and we’d like to thank them all for all their hard work and for helping make our Winter Fairytales box one of our favourite Book Box Club boxes so far! Thank you to our lovely subscriber @amandasafterword for the unboxing photos. The Bear and the Nightingale & The Girl in the Tower by Katherine Arden: In the wintery wilderness of Northern Russia, free spirit Vasya doesn’t suit the life laid out for her. With her strange looks and bold ways, the people of the neighbourhood think her a witch, but Vasya knows that the forest is home to creatures that others are blind to and now the entire village is in danger. Interwoven with magic and fairytales, our featured reads for December will take you on a snowy fantastical adventure! 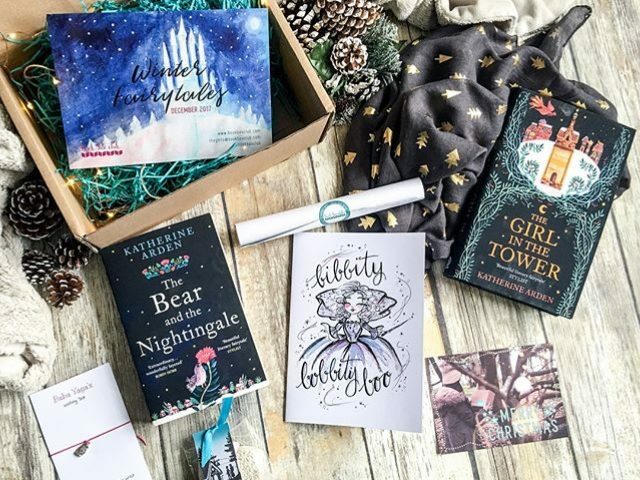 Scrolled invite: Meet your fellow Book Box Club members AND Katherine Arden – the author of our December featured reads – in our cosy online Clubhouse. You’ll get the chance to ask Katherine your questions and to make new unashamedly bookish friends. 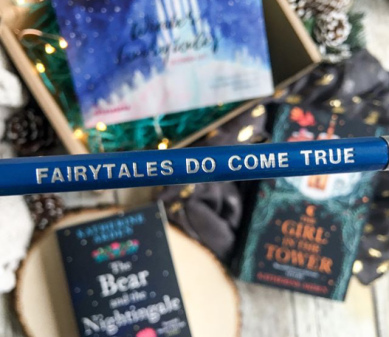 Fairytale pencil by Book Box Club: Take note of all of your magical thoughts with this pretty pencil, created for you exclusively by Book Box Club. With thanks to our lovely members for their unboxing photos: @amandasafterword, @turquoise.reader, @naomienchanted, @msbooknook, @bookishaddicted, @webookingloveit, @sinzianaromanescu and @booksfemme. We have loved seeing all of your unboxing photos, blogs, stories, tweets and videos for this box and knowing that so many of you had a magical Book Box Club box under your Christmas trees filled us with a serious case of the warm fuzzies. Thank you to everyone for sharing, spreading the word and being so lovely – all of your amazing feedback was the perfect Christmas present!